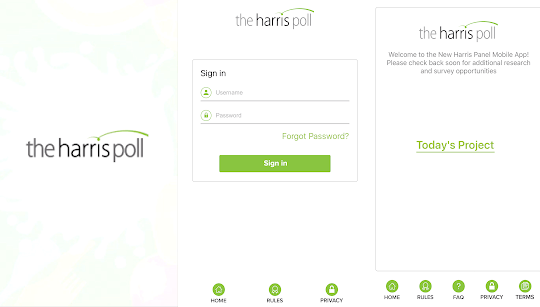 Harris Poll Online is a survey panel that has existed for many years. But is Harris Poll Online legitimate, or is it scam and a big waste of time? Let me reveal right away that it is a legit survey panel. BUT this does however not mean it will necessarily be the right survey site for you. This Harris Poll Online review will give you all the details about what it offers, so you can easily see, if you should join or not. 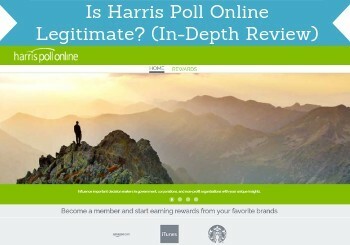 What Is Harris Poll Online and what does it offer? Harris Poll Online is one of your many options in the crowded field of paid survey sites. It has existed for more than 45 years, and it is owned by the Nielsen research company, which is one of the most reputable companies in the market research business. When Nielsen is behind a survey site, you know it will be safe and legit, and that it will actually pay out. This does of course not mean it is necessarily worth the time, and this is what this review will help you find out. Unlike some of the multi-functional sites like for example Swagbucks, this site has mainly two ways to earn, but at times you can also find other earning opportunities here. So let’s go over the earning methods Harris Poll Online offers. 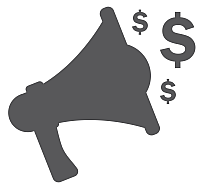 Paid surveys are the main way to earn on Harris Poll Online. It is not the site with the most opportunities, and you should not expect to get surveys every day. But it still regularly has surveys. Once there is an available survey, you will receive an email invitation. As on all other survey sites, you will not always qualify for the surveys you are offered. If you do not qualify, you will be offered another survey, if there is one available at that time. As surveys is the main way to earn, and because you receive an email invitation when a new survey is available, Harris Poll Online is very easy to use. You should however not expect more than 3-5 surveys per month, so it should not be the only survey site you join, if you want to have many earning opportunities. A great thing about Harris Poll Online surveys is that if you do not qualify, you will still get a small reward of 15 points and entry into the sweepstakes. Four times a year, Harris Poll holds a $10,000 drawing, and all participating members are included. One positive is the fact that you will receive sweepstakes entries for all surveys that you accept. This applies even if you are disqualified, and even if you just fail to complete the survey. You can also redeem points for more sweepstakes entries. The chance of winning is of course not big, but it is still a nice extra chance, and if you are lucky, it can definitely boost your earnings. As mentioned already, Harris Poll Online mainly has two things it offers, and I have mentioned these above. Occasionally it does however also offer others ways to participate in research and earn, if you are a member. Sometimes you might offered to take part in focus groups (chat room style or bulletin board style), telephone and direct mail to in person focus groups and personal interviews. At times you might also be offered the opportunity to participate in research that requires you to download software to your computer or mobile phone. These extra opportunities are of course completely optional, but if you get them offered, it can be a great way to earn extra rewards and have your opinion heard. How you get paid and the rewards you can choose from are of course an important aspect of any survey site. When you take surveys through Harris Poll Online, you earn what is called HIpoints. I’m not really sure where the name comes from, but I will simply refer to them as points for the sake of avoiding confusion. These points can then be exchanged for a number of Harris Poll rewards. The biggest drawback in my opinion is that Harris Poll Online does not pay in cash, and your points cannot be exchanged for cash rewards. Personally, I prefer survey sites that offer PayPal as a reward, as it is a great and easy way to get your rewards in cash. But there are of course also other great rewards, and you would have to go with other options, if you join Harris Poll. You can instead choose between different gift cards. Harris Poll for example offers gift cards for Amazon, Walmart, iTunes, some restaurants and more. You can also buy magazine subscriptions and airline miles with your points. Examples of Harris Poll rewards. I will say, the variety of gift cards and rewards that it offers is pretty good, and in some cases they are as good as cash, depending on your preferences and your shopping habits. You can get a gift card once you have earned 1,250 HIpoints. This is equivalent of $10. If $10 is equal to 1,250 points, then $1 is equal to 125 points. I am showing this, as it makes it easier for you to calculate how much the surveys you will be offered are worth, so you know before saying yes or no to a particular survey. This means that the 15 points you will get as a consolation prize, if you do not qualify for a survey will be worth 12 cents. So it will not be the surveys you do not qualify for that will make you money:-) But I still like that they even give you a reward for this, as not many survey site offer this. Now you know how you can earn on Harris Poll Online, and how you will get paid. But how much money is it in general possible to make on this platform? In most cases you should not expect to receive more than 3-5 surveys per months. This is not a lot compared to some other survey sites. This means that it will not be possible to earn a huge amount on Harri Poll. However, at times you might get extra offers that can boost your earnings, and if you are lucky and win the sweepstakes, you will get a very nice extra reward. If you want to have more earning opportunities, it is however a good idea to join some of the top paying survey sites in your country in addition to Harris Poll. Harris Poll is safe and legit, but in my opinion it should not be the only site you join, if you want to have a real chance of earning, and it can take some patience to get to the payout threshold. No matter how many and which survey sites you join, it is however important to remember that it will not make you rich or a full-time income. It is easy to participate, you can have your opinion heard on important topics, and you can participate when, and where you want to, so it can be a great way to make some nice extra cash. You just need to do it with the right expectations. Can it be used on mobile? Being able to use a survey site on mobile can be an easy way to earn whenever it fits you. Harris Poll makes this very easy, as it has it own app. Harris Poll has its own app. So once you are a member, you can just download the app and get access to the surveys directly from your phone. The Harris Poll app is available for both Android and iOS. Who can join Harris Poll Online? Harris Poll Online does have a few requirements for membership. First of all, you have to be at least 13 years of age. The platform is only available for the USA and Canada. So if you do not live in one of these countries, you can instead check out the list of the best survey sites in your country. Even if you live in the US or Canada, it can, as already mentioned, be a good idea to join other survey sites in addition to Harris Poll Online to increase your chances of earning. Being able to get support is important on a survey site. Hopefully you will never need it, but it is always good to know the option is there, as it tells a lot about the company behind. On Harris Poll Online you have two ways to get support. There is a live chat, or you can submit a ticket. However, I am not impressed with any of these two options. At first, I thought it was great, when I saw they had a live chat. So I decided to test it. 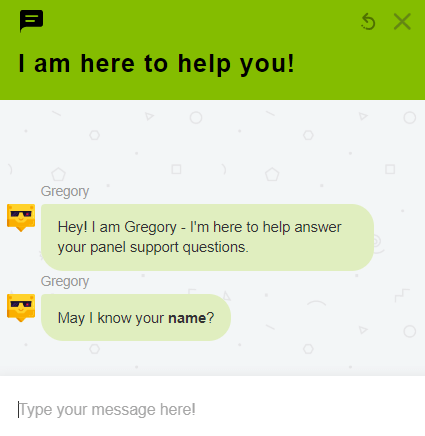 The support chat is just a robot. However, it is a robot chat. I could not get a clear answer for my question, as it did not fit into the standard answers the robot could give me, which was mostly just links to the FAQ section. So this is not a good way to go, if you have some more specific concerns/questions. I then went to the contact form. When you go to the contact form on the website, you first need to fill out your name and email. You then choose what your concern is. In most cases you will then just get links to the FAQ section, and not the option to actually submit a ticket. However, for some of the topics, you can at the end submit a ticket. So this seems to be the way to go, if you need to get in contact with support. If you for example have Harris Poll Online complaints, there is an option, where you can share your thoughts and submit your ticket. There are also other categories, where you actually get the chance to submit a ticket. It is not very smooth and easy to figure out, but it is possible to get in contact with support, if you should need it at some point. So is Harris Poll a scam or legit? It definitely is legit. If it is then worth your time, is another questions. So let’s sum up the pros and cons, so you can get a better overview and easily see, if it is a site you want to join. Harris Poll Online can be worth it. It depends on your preferences. Compared to some of the top paying survey sites, it does not give a lot of earning opportunities, so it can take some time to earn any real money here, and you should probably not join it as the only site. But it can still be worth joining as an extra site, as it offers a large variety of different rewards, so there is a very good chance you can use at least one of them. The sweepstakes are also a nice extra chance to earn a great prize. How to sign up for Harris Poll Online? If you think Harris Poll Online is a site for you, is it is easy to join. Just click the button below and choose your country (remember you can only join from US and Canada). You then just have to give an email/username and password, verify a few things, and input some basic personal info. Once you have done this, you simply wait for the emails to come. You don’t need any special qualifications or prior experience. You can be accepted almost instantly and get started right away. If you have any comments, questions, or have any experiences with Harris Poll yourself you want to share, I would love to hear from you in a comment below. Harris Poll Online is a legit survey site. It does however not have very many earning opportunities, so you should not join it as the only site, but it can be nice to join as an extra site. You can only join, if you live in the US or Canada.